It’s surely too soon to hope that Moammar Ghaddafi may be headed off on a trip with his friend Mr. Ben Ali. Of course, if he did retire to the KSA, he could spend much more time on his short stories, which—according to a Guardian books blog review—need a bit more, er, coherence. Anyhow. The most exciting two pieces of Libyan literature (in English) I’ve seen climbing over the horizon are a translated story from Ahmed al-Fagih, set for publication in an upcoming Libya-themed edition of Banipal, and a translation of Ibrahim al-Koni’s epic المجوس. The al-Fagih story, translated by Maia Tabet, is “استاكوزا,” a gorgeous tale of madness and blind imitation of Western philosophy. Tabet’s translation process was complicated by an attempt to render a short story (nearly) without punctuation. But it comes out beautifully; the language the sort you can feel moving over your tongue. Really, the cost of the Banipal will be worth it, just to have this story. Much more of al-Fagih’s work can be found (free) on his website; you can even download several of his plays and his celebrated novels. (I did. Haven’t caught a virus, either.) However, the translation quality varies. You also have to swallow a few photos of him with a younger Ghaddafi. On the Ghaddafi front, the “Angry Arab” notes that, “I have to try to not think of the disturbing fact that Al-Faqih wrote praise of the ‘literary’ work of ‘the brother leader’ Qadhdhafi.” So we’ll think about it, but not too much. Meanwhile, you can’t get Ibrahim al-Koni’s new book, translated by Elliott Colla as The Animists (forthcoming from AUC Press), for free. But you can read an excerpt from the book, titled “The Teacher,” on the free zone of African Writing 11. Perhaps there will be yet another excerpt in the alleged forthcoming Banipal. Almost certainly Banipal will include work from Libyan-American poet Khaled Mattawa, a regular contributor. Read a good number of Mattawa’s poems on Web Del Sol. 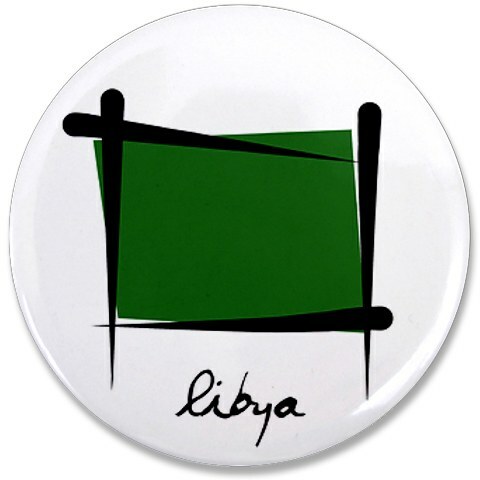 Mattawa, who has become quite celebrated in the last year, also curated the July 2006 issue of Words Without Borders that was dedicated to Libyan lit. You can still find it online; it has some lovely (and free!) work. Also free: Libyan blogger/poet/physician Ghazi Gheblawi sometimes posts poetry online: both his own work and his translations, mostly of Libyan poets. Over on Qantara, Susannah Tarbush writes about Ethan Chorin’s short-story anthology and travelogue, Translating Libya. Ahmed al-Fagih, who has his own book about the Libyan short story, has written an essay about the form (and about Libyan poetry, too). Mattawa wrote a preface to the WWB Libyan lit issue.